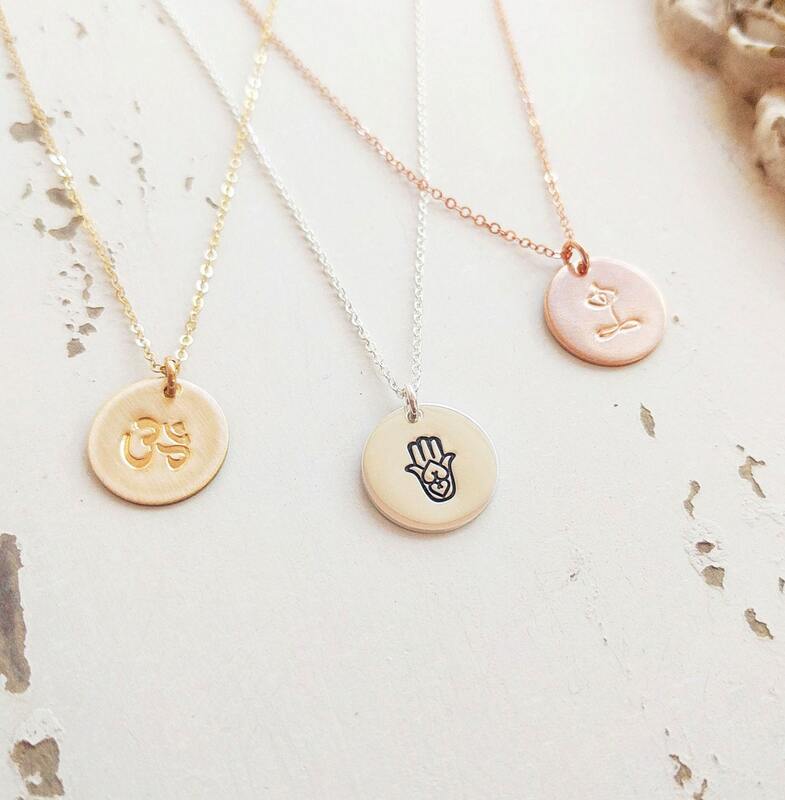 ♥Small gold filled disc (12.7m, 1/2") hand-stamped with your choice of yoga symbol. ►HOW TO ORDER: Please select your desired length & metal finish before adding the necklace to your shopping cart. You can leave a note at checkout to let me know which symbol you would like stamped on the disc, and if you prefer the simple darkened (as pictured on the Hamsa disc) or non-darkened (as pictured on the Ohm and Namaste discs). Contact me with any questions! Beautiful quality necklace. Fast shipping. Nice seller, no hassle! What more could you ask for!